The latest on the 10 m/o baby inflicted with horrific injuries. Tuesday's news in under 5 minutes. We’ve rounded up all the latest stories from Australia and around the world – so you don’t have to go searching. 1. “The boy’s skin was peeling off when he returned”. The man is accused of reckless grievous bodily harm, after the baby was found with massive burns and injuries to his face and head. The 23-year old man accused of causing horrific injuries to a 10-month-old baby by leaving him under a scalding hot shower causing massive burns had been given the all clear to look after another infant by NSW’s child protection agency despite a detailed record of violence reports The Daily Telegraph. The baby boy is in an induced coma in a critical condition. Sky News reports that the baby’s mother was at his bedside and his biological father had flown in from Queensland to be with him. 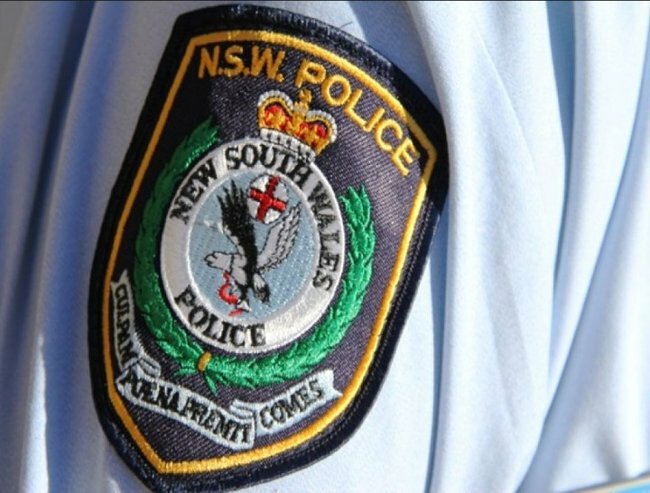 According to police the man told them the toddler, the baby of his partner, had vomited so he put him on the floor of the shower of her Penrith home and turned on the water. He then says he left the child to have a cigarette and charge his phone. He told police the boy’s skin was “peeling off” when he returned. He allegedly told police “I f … ed up” and asked police not to tell the baby’s mother for fear he would lose contact with his own child who he had just been given access to see. Documents in court yesterday showed that the man had previously been charged with six counts of common assault, two of assault occasioning actual bodily harm, two of occasioning grievous bodily harm and affray. 2. Five-year old girl still in hospital but stable after stabbing. Sammy Hastings and her daughter Madison Via Facebook. The mother of the little girl stabbed in Ballarat has questioned why anyone would hurt her daughter. An emotional Sammy Hastings wrote on Facebook yesterday: “Why would anyone hurt my baby girl”. 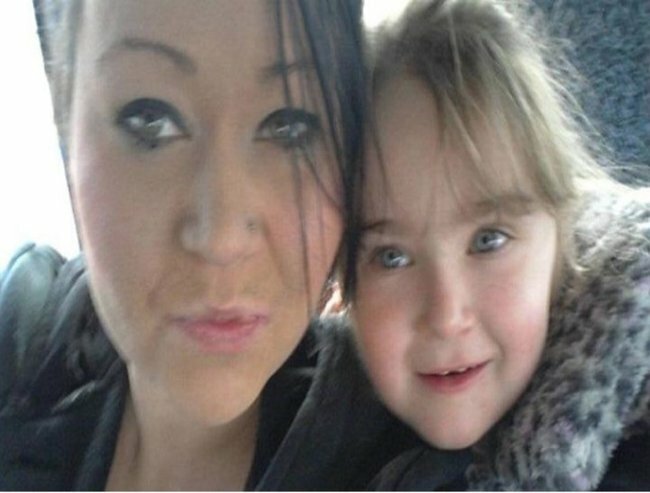 The Courier reports that five-year old Madison is now in a stable condition after the stabbing. The wheelchair bound man accused of stabbing Madison faced court yesterday charged with attempted murder, intentionally causing serious injury, false imprisonment, child stealing and assault in relation to the incident. 23-year old Ty Ranger, who has cerebral palsy and uses a wheelchair, briefly appeared in Ballarat Magistrates Court where he did not apply for bail and was remanded in custody to re-appear in the same court on February 11. 3. Prime Minister to give national security statement today. The Prime Minister, Malcolm Turnbull will make a major statement today. 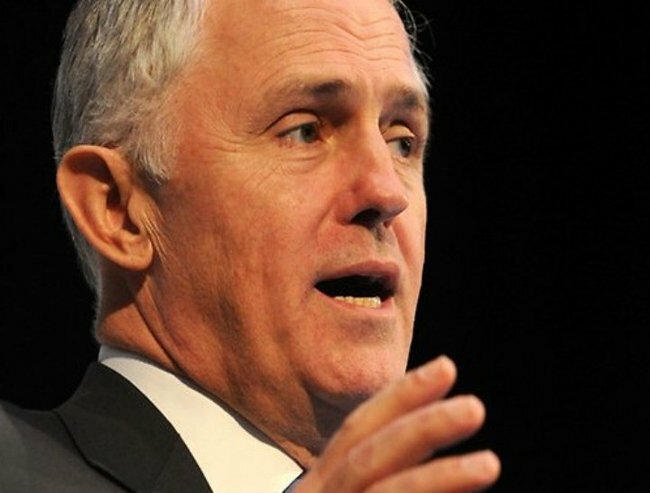 The Prime Minister, Malcolm Turnbull is expected to make a national security statement today in response to the Paris attacks. Mr Turnbull is expected to praise Australia’s police and spy agencies and insist they have been given all of the tools they need to monitor the threat on home soil reports News Limited. The ABC writes that Mr Turnbull’s speech will reflect one he gave in July that warned terrorism should not be under-estimated but the threat from IS should not be over-played. 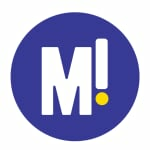 “We need to be very careful we don’t get sucked into their strategy and ourselves become amplifiers of their wickedness and significance,” he said in a speech to the Sydney Institute. Yesterday the Prime Minister told parliament that military force would be needed to defeat Islamic State, but it would be unrealistic for Australia to embark on a “boots on the ground” campaign. “That is not the policy of the United States government or any of the coalition partners and it is unrealistic for Australia to embark on any military operations in that region other than in partnership with our allies,” Mr Turnbull said. 4. Bill Shorten’s polling falls to 15%. 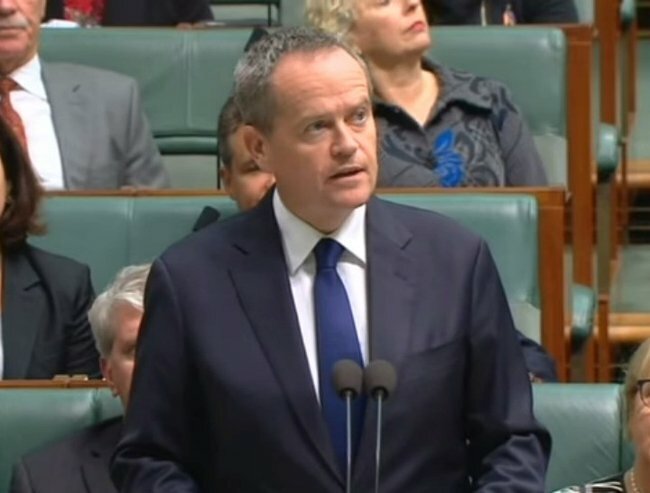 A newspoll out today shows that Bill Shorten’s standing with voters as the alternative prime minister has tumbled to the lowest level for any ALP leader in more than a decade. The Australian reports that Labor’s primary vote has fallen to 33 per cent and is back to the same level as the 2013 poll, which was the ALP’s worst election result in 80 years. Malcolm Turnbull leads as prime minister over Mr Shorten by 49-points -64 per cent to 15 per cent. Mr Shorten’s result is the second lowest result for any Labor leader in Newspoll history going back to 1987. A war cemetery in west London dedicated to ANZAC soldiers who died in World War I has been targeted by vandals for the second time this year. Jane Palmer, a local councillor, discovered a series of gravestones covered in blue spray paint on Sunday morning (local time), and was brought to tears by the incident. “In tears this morning at this desecration of Harefield Anzac War Graves,” she wrote on her Twitter account. It is believed the graves were vandalised overnight, and Metropolitan police are investigating the incident. “The ANZAC (Australian and New Zealand Army Corps) graves are a very very big part of Harefield village. “It’s something (people have) been brought up with and they’ve been brought up to respect and when they’re desecrated like that people take it very, very seriously,” she told Get West London. The churchyard at St Mary’s in Harefield contains graves from both world wars but those affected are among the 120 First World War graves. Most of these are of Australian servicemen who died at No 1 Australian Auxiliary Hospital in nearby Harefield Park and are now buried below the unique scroll-shaped headstones chosen by staff and patients at the hospital. Vandals attacked the same graveyard in April, the day before a ceremony was planned to mark the 100th anniversary of the Gallipoli campaign, in which around 11,000 ANZACs were killed. They sawed into an Australian flagpole and sprayed a memorial and information panel with similar blue paint. The Commonwealth War Graves Commission have begin the process of cleaning them up. 6. Belgian police arrest 21 in terror raids. 21 people have been arrested in terror raids in Belgium as the city enters its third day of lockdown. Police said that not included in the arrests was Europe’s most wanted man, Salah Abdeslam. Overnight they have charged a fourth suspect with terrorism offences related to the deadly attacks on Paris, the federal prosecutor has said. The unnamed man was one of 16 people arrested in raids on Sunday. The rest have been released without charge. While Belgian federal police force conducted the arrests they asked the nation not to reveal the locations of police on social media. Instead the country took to social media with gusto tweeting images of cats. Police have now tweeted their thanks for the help during Sunday evening’s raids across the country. “For cats who helped us last night … Help yourself!” it reads. Meanwhile warplanes have taken off from France’s Charles de Gaulle aircraft carrier, newly deployed to the eastern Mediterranean, for operations over areas held by the Islamic State group in Iraq and Syria. 7. Death of northern white rhino leaves just three left worldwide. A female white rhino has died at the San Diego Zoo Safari Park in California. Nola was the last of the sub-species left in captivity and her death, at the age of 41, leaves just three of the critically endangered animals alive anywhere in the world. The Zoo was forced to put her down after she became increasingly sick with a bacterial infection. The three remaining northern white rhinos live at the Ol Pejeta Conservancy in Kenya. With the last remaining male under 24-hour armed guard. One of two sub-species of white rhinocerous they once ranged through the Democratic Republic of Congo, southern Sudan and Uganda but their numbers were drastically reduced by poaching in the 1970s and 1980s. 8. Thieves stole car, dropped boy at school. The boy was dropped at his school. Car thieves who stole a car they found with its engine running got the surprise of their lives when they were confronted by an eight-year old boy in the backseat. 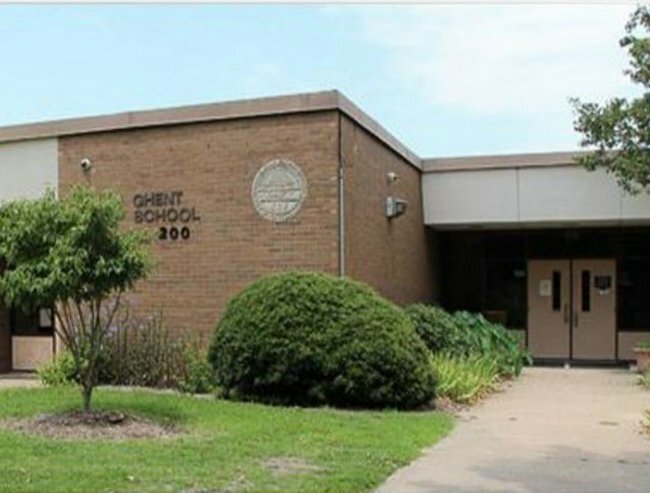 The thieves then drove the little boy a kilometre to his primary school in the city of Norfolk, Virginia. The boy’s mum had run into her work and left the boy in the car with the engine running when she came out 20 minutes later she saw her car and son had gone. “All of our officers began looking for the car and this little boy,” says Wray. They found him “sitting in class as if nothing had happened,” she added. The eight-year old told police two men got into the car and told him they were supposed to take him to school. “It was slightly odd to him. He was nervous because he had never seen these men before,” said Wray. Local police have not found the men, they are examining whether the mother should face charges of child neglect. 9. Here’s a nifty place to keep your packages safe – on the roof. At least no one could have stolen it. A British customer expecting a delivery was surprised to arrive home and find the courier had delivered it – but left it on the roof. The driver obviously thought he had spotted a great way to deliver the parcel after he spotted a window open a crack in the house in Dartford, Kent. But he overshot and the package landed squarely on top of the house. The delivery driver also returned in his own time with a ladder to retrieve the parcel and pass it safely into the recipient’s hands.